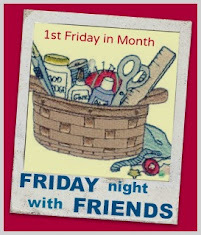 Sugarlane Designs: Joining me for FNSI??? love the colours in your birdie stitcheries... so pretty....are you sure that wasn't the crime spotters looking for herbs in your garden... I hear they grow well up your way? Pleased you got home in time before the rain. Nice buys. I also went Spotlight shopping yesterday in Geralton. Lovely Birdie stitchery,have fun putting it together tonight.